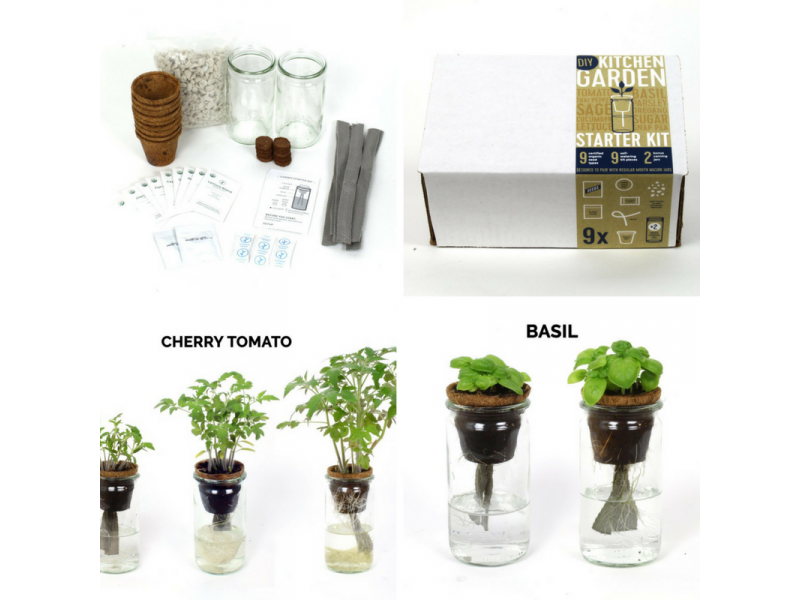 Start your own farm-to-table garden with this easy, all-inclusive seed propagation kit. 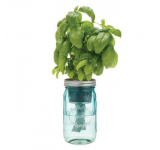 Includes 9 ORGANIC SEED PACKETS (tomato, basil, lettuce, cucumber, sage, peppers, parsley, oregano and snap peas), along with coco pot inserts, wicks, growing medium, fertilizer, activated carbon and detailed instructions. 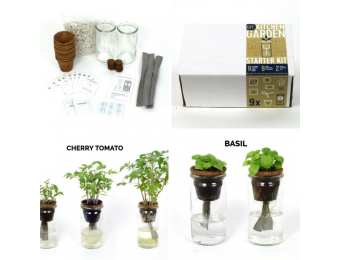 With this kit, you can convert up to NINE old regular-mouth mason/canning jars into self-watering pots. 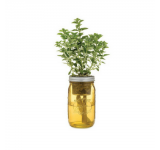 Designed for both seasoned and novice gardeners, easy to use and fertile with success. Start seeds indoors and transplant outside into a larger pot or garden. 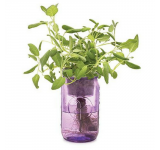 Attractive jars sit indoors on a sunny windowsill and replace bulky, unattractive plastic seed starter trays.